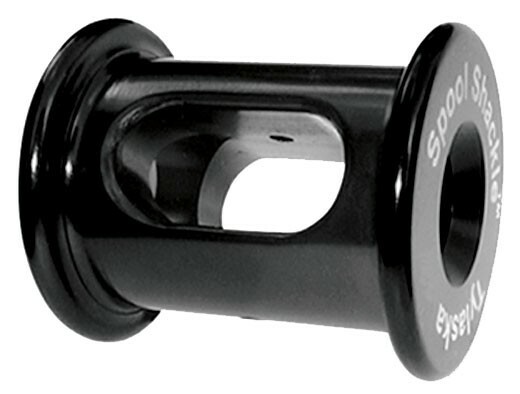 The S-Series Tylaska Spool Shackle™ is machined from high-strength aluminum. This have exceptional strength-to-weight ratio. The key is that the line itself supplies the strength while the shackle redirects the force. The ease of unfastening after loading is equally amazing. 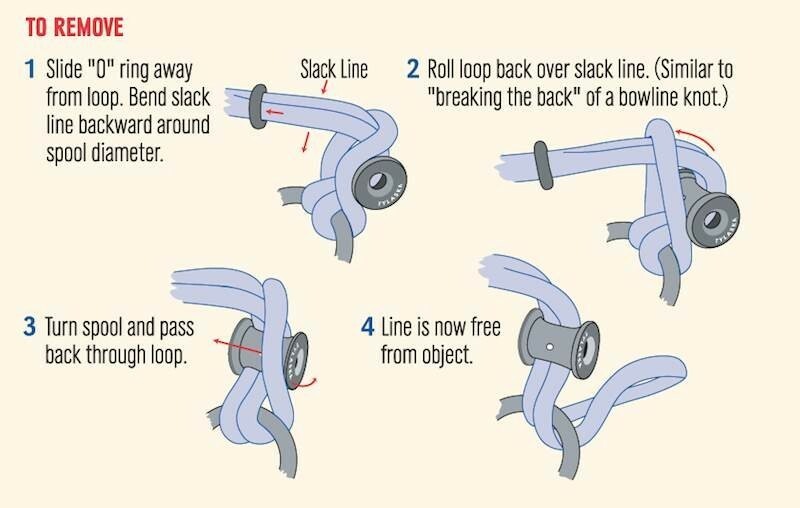 Based upon the concept of "breaking the back" of a bowline knot, the line can be rolled back and taken off even after it becomes "stiff as a wire" from tension. 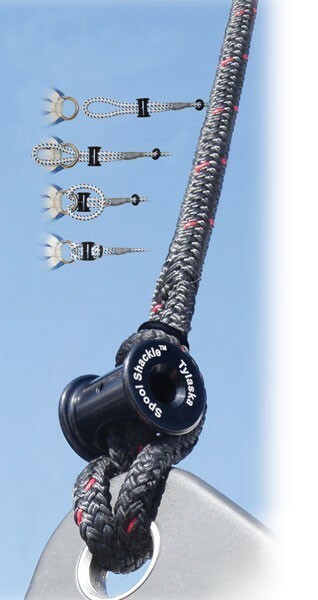 The Tylaska Spool Shackle™ works with both conventional and hi-tech lines. All that is needed is a looped end. This can be a pre-spliced loop, yet-to-be spliced loop, or simply an overhand knot loop. A retaining pin allows for the shackle to be removed or transferred to other lines. An optional "O" ring slides over the line to provide a secondary "lock" against loosening during the most severe flogging situations.